Jayson was first inspired by Clark Little’s stunning wave photography. With a small GoPro camera he would evade big waves to get shots like his idol and hoping to walk away with no injuries each day. 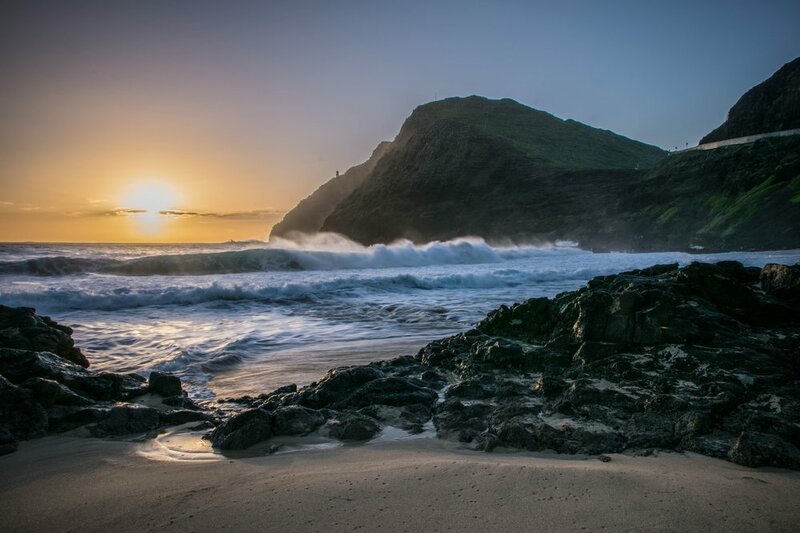 His curiosity of photography took by storm after investing in his first professional camera and striking gold documenting waves of hurricane Guillermo slamming into Makapu’u Beach at sunset (below). Landscape photos opened up the questions of how to master time and focus of his photos. With the surrounding beauty of Oahu, his creative possibilities were boundless. From there he grew and took chances with family portraits, modeling portraiture, and eventually weddings. After many trials and obstacles he discovered his niche, engagement and wedding photography. Connecting a story of people to a surreal place as Hawaii was his drug. Client’s from all over the world shared their heartfelt stories, their humor, and many of times they embraced him as part of family. Being immersed in these inspirations fueled his passion of story-telling. After moving back to his hometown in Hilo, Hawaii he was able to breakdown his creative process by rediscovering the beauty of the Big Island. He wanted to find a way to best portray the roots of his hometown. He took over and restored the extensive darkroom of his girlfriend’s grandpa and world-renown photographer. Through film photography he was able to deconstruct his vision and make the best of each shot taken. Searching for new angles, he took his perspective to the sky by investing in a Drone. This enabled him to scout for hidden gems difficult to access by foot. Drone capabilities also opened doors to beginnings in filmography. His diligence to improve and broaden his visions is never ending.